Card counting strategy is the most popular strategy in Blackjack among gamblers. It is simple and interesting. When playing Blackjack online you can use not only the strategy itself but card counting simulator, which works online and can be found on numerous online casino sites with description of betting systems and options as well. Card counting simulator as well as card counting strategy provides a possibility to influence the outcome of the game with the help of correct moves to make and options to use. Online card counting simulator doesn't predict cards. It only produces the moves basing on the player's hand and cards, which have left the game. With the help of this simulator you can easily keep in mind the count of dealt cards. You can simply select the mode you need and speed to work with, which you can always change. When playing Blackjack online just start using this simulator. The meaning of card counting strategy lies in the keeping the order of cards that have already been dealt. The more high cards are still in the deck - the better chances you have and on the contrary. Why high cards are better for the gambler? 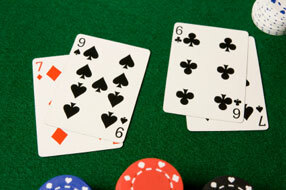 The Natural hand in Blackjack card game consists of the black Jack and an Ace. That's why it is preferable to get these cards earlier than the dealer. If you are a pro then you will know when to raise your bets. All the cards due to this strategy own their specific values. Let's find them out. In card counting strategy every count starts with 0. Cards from 2 to 7 are counted as +1 or positive. Cards from 10 to Ace - are counted as -1 or negative. Card from 8-9 - are neutral or 0 value cards. You simply add or subtract the values of the card that have been dealt. If the count you keep in mind is positive - you can raise your wager because it is likely you will get a Blackjack. If the count is negative - you have to decrease your wagers. These are the factors you should always keep in mind before starting to use a counting strategy. How many decks are in the game. Aces that have already been dealt. Blackjack is a game that combined both math and strategy skills. If you know the basic strategy and improve constantly your skills and gaming level - be sure - you'll masterpiece card counting very quickly.